Departments are a post type perfectly suited to displaying information about and letting your users see the departments. 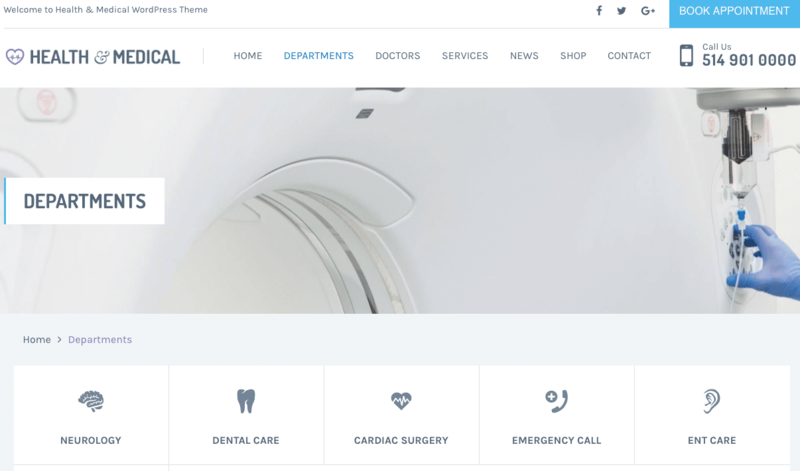 The All Departments screen inherits most of the features of the standard posts screen. You can edit, delete or view individual department. 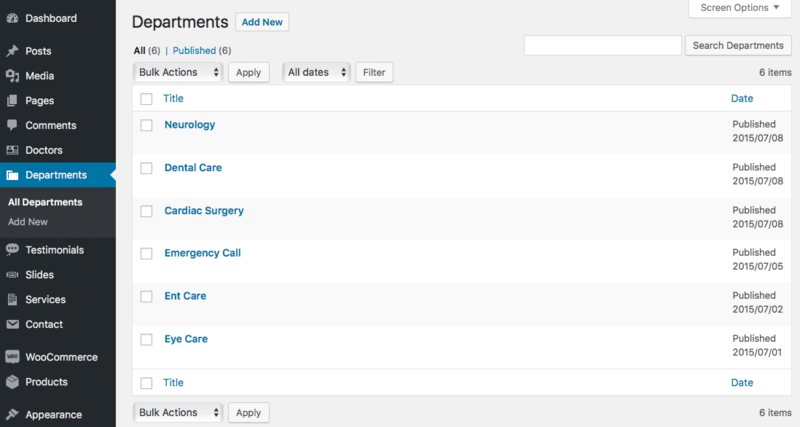 Various search and filtering options allow you to find the department you want to edit or delete. A table lists all of your departments. By default, the departments are listed with the newest department first, but they can also be sorted by title. [ ]: This checkbox, when checked, selects that particular department to be processed by a bulk action, such as edit or delete. Title: This is the department title displayed as a link. Click the title link to edit this department. Date: The date column for each department shows the date Published for published departments or the date Last Modified. If the department is a future department, the scheduled date for publishing is displayed.